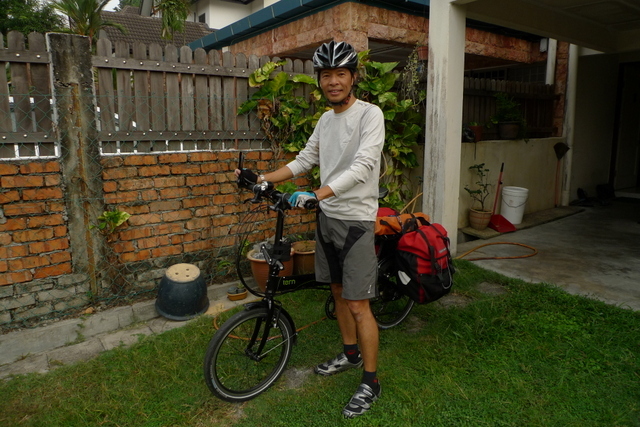 A follow-up review of the Tern P24. 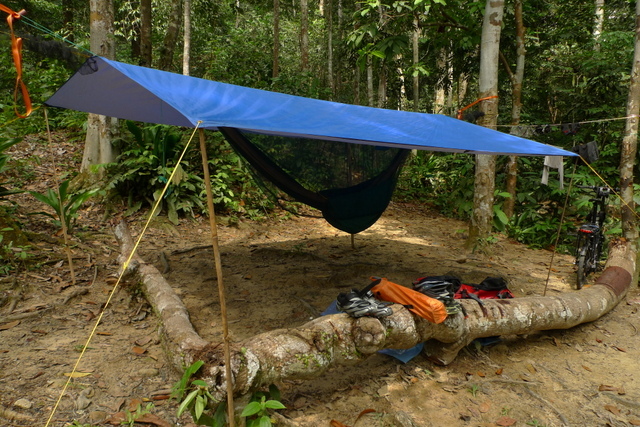 8 months later… plus, an overnight ride-n-camp report. 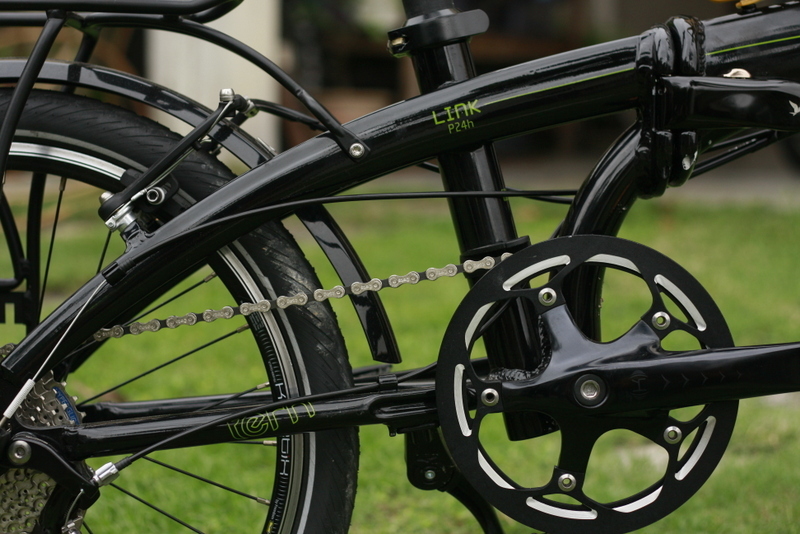 Since I took delivery of the Tern Link P24, it hadn’t seen much action; until lately when I started commuting to work twice a week. Not counting the Bike Friday that was kindly loaned to me by good friend Alvin for my little jaunt around Hokkaido, this was my first foldie, and it took some getting use to. Initial relations between us were a bit cool … I didn’t quite like the overly-stiff feel of the bike, and it didn’t quite behave the way a good friend did. I suppose it isn’t a fair comparison, seeing as my other 3 bikes comprised a full-suspension MTB, a full-carbon road-racer, and an all-steel Surly LHT, all of which are relatively comfortable bikes. 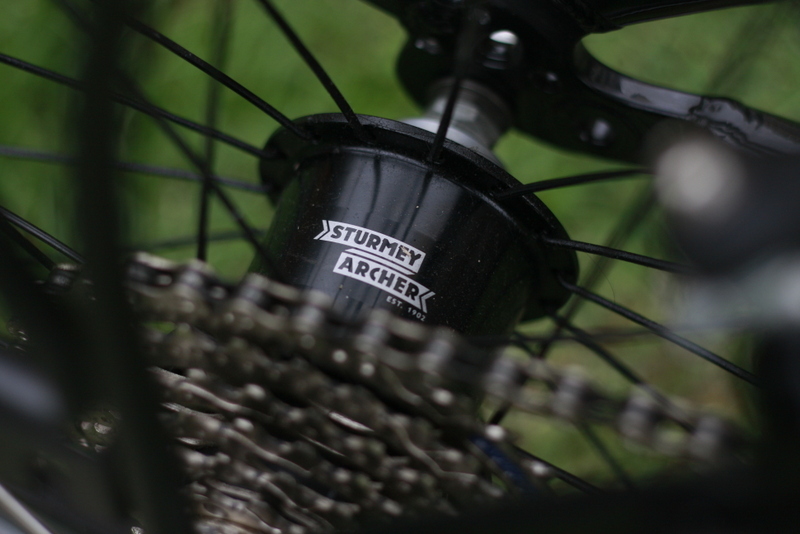 It didn’t help that the Tern’s infamous rear Sturmey Archer 3-speed internal hub lived up to its promise of slipping gears every now and then. Whenever I stood up to pedal going up an incline and my foot would just mash down into nothingness, it was one pedal stroke closer to saying goodbye to each other. But I didn’t think that the rear hub problem couldn’t be resolved. So I did some research. The Tern forums offered no solutions, only unresolved complaints. Some gave up and changed to other models. Finally, I found the solution – it was so ridiculously simple I’m surprised Tern didn’t bother to post it on their site. Easy peasy. Do remember that sometimes dirt can get in through the top of the plastic housing so it’s a good idea to remove it and clean it once in a while. 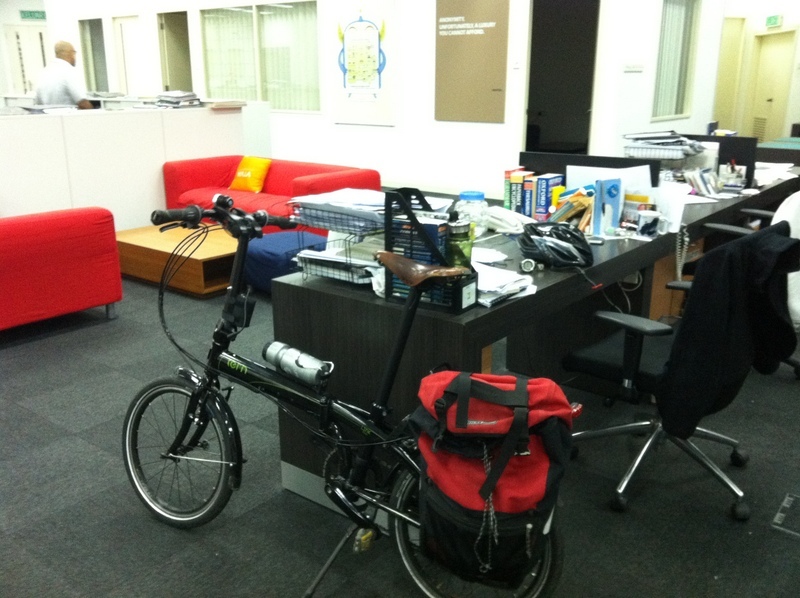 Anyway, after I solved the problem, I started riding the Tern to work. 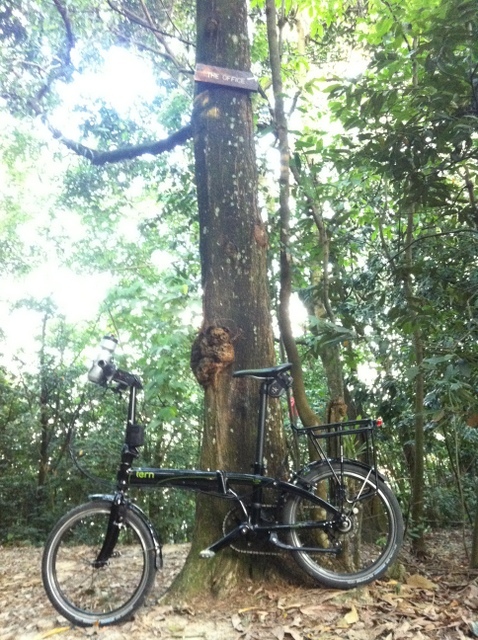 At first, the Titus seemed to be the logical bike to ride, (I could even detour to my favourite MTB trails for a quickie before work) but eventually the slight bobbing of the front and rear suspension (no full-lockout) on tarmac got to me. Out-of-saddle bursts literally sucked – energy, that is. 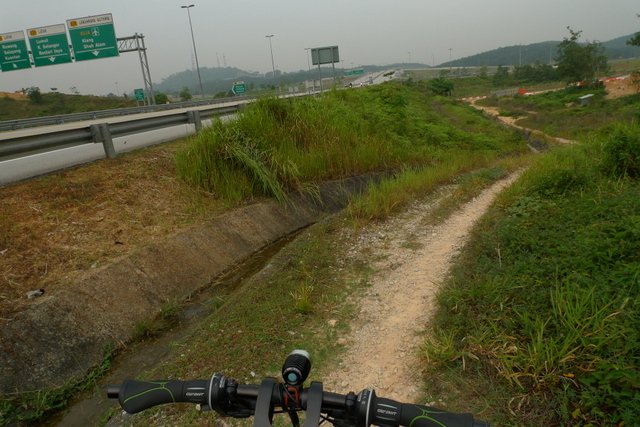 I also tried the road bike but it felt too vulnerable on some debris-strewn roads. It was a fast commute though. So I went back to the Tern … again. The rear hub had been behaving very well. I can’t quite recall it ever slipping since I adjusted it … except once when it didn’t shift properly which was easily resolved with some adjusting of the cable. I got used to the gripshifters. I got used to the gearing. I got used to the stiffness of the bike that actually made it ride faster. In short, I enjoyed riding the bike as a commuter. After clocking some decent kms on it, the verdict is clear — it’s a very capable bike. 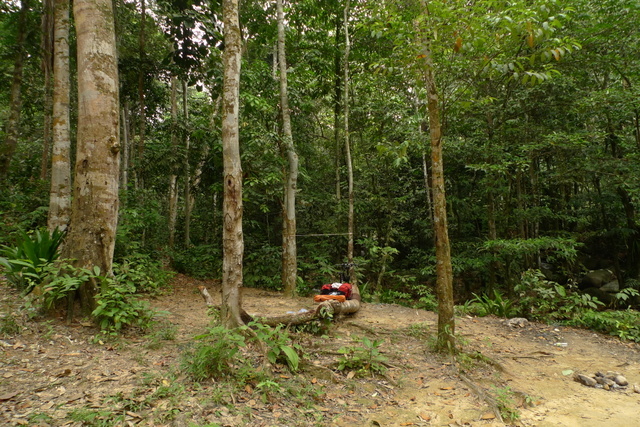 It takes everything I can throw at it, and then some… including going offroad with it. It’s held up very well. 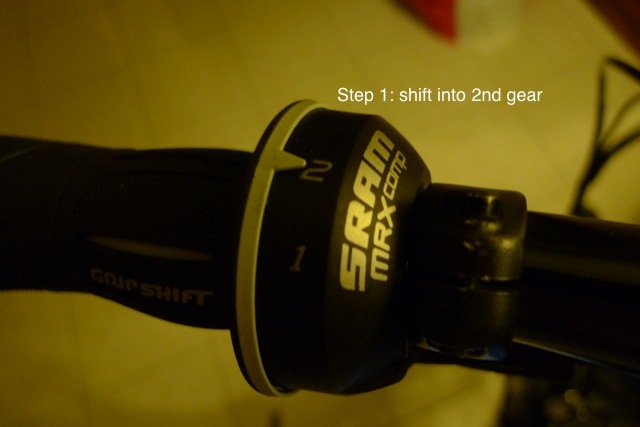 The Marathon Supremes roll very confidently; but then, I pump it quite hard for minimum rolling resistance. One big gripe with this bike: you need to be very practiced repairing a rear wheel puncture before you even start riding it. I found out the hard way when I suffered such a puncture on one of my early morning commutes. 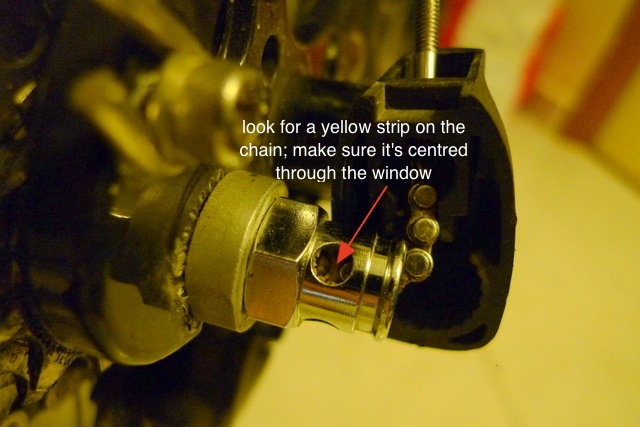 I hadn’t realised that the rear wheel was locked with 15mm nuts and not quick-release levers. I had a spare tube, and the pump is built into the seat post but, without a spanner, I was literally screwed. But as luck would have it, I was near a motorcycle repair shop and the owner kindly lent me a 15mm spanner to do the job. And… another warning here — it’s not just a simple matter of removing the nuts either. 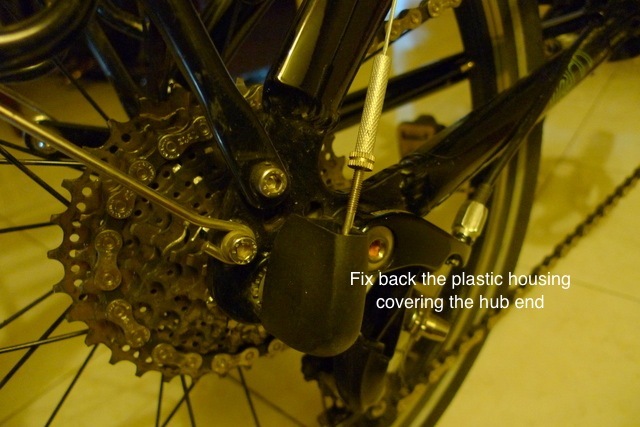 The rear-hub adjuster cable is connected to the bike so that had to be removed as well. 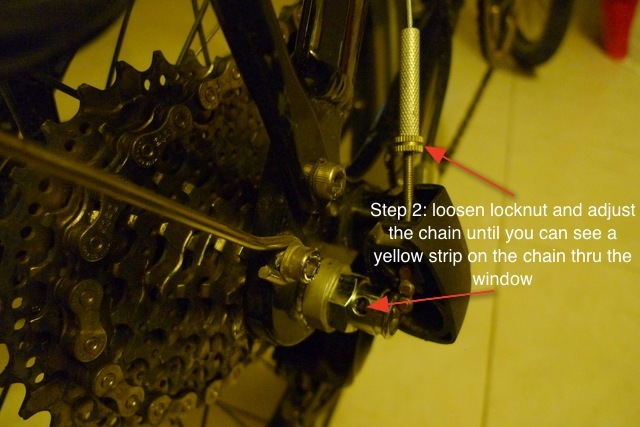 And…you’d have to readjust the little itty bitty chain going into the hub correctly before you ride off otherwise the gears will slip again. 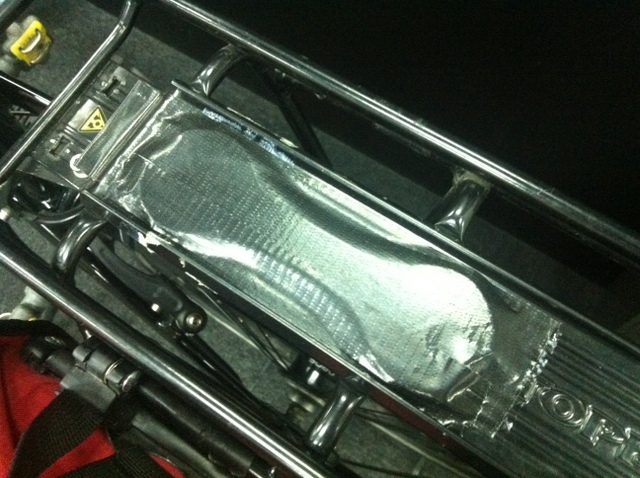 I happen to have a Shimano hub spanner lying around so I simply taped it with duct-tape to the top of the rear rack. It’s only about 2mm thick so it takes up almost no space. 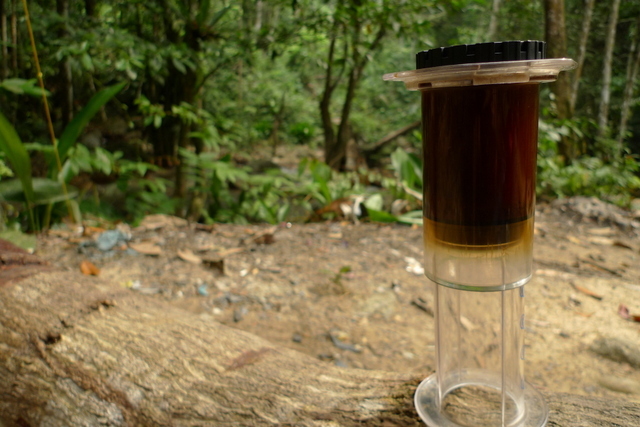 Just like the seat-post pump, it’s always there. The best part of commuting? 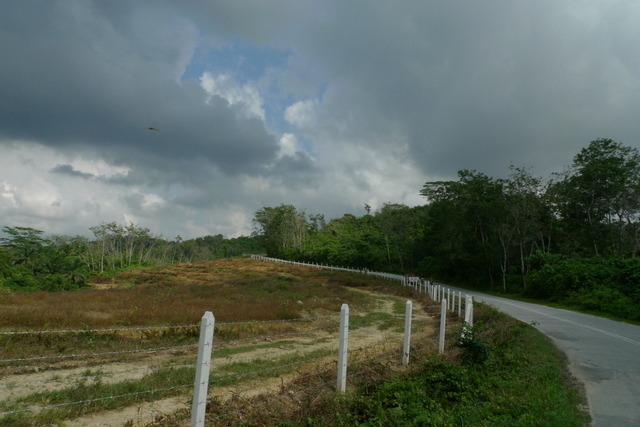 Taking the path of least resistance, and where there’s more greenery. 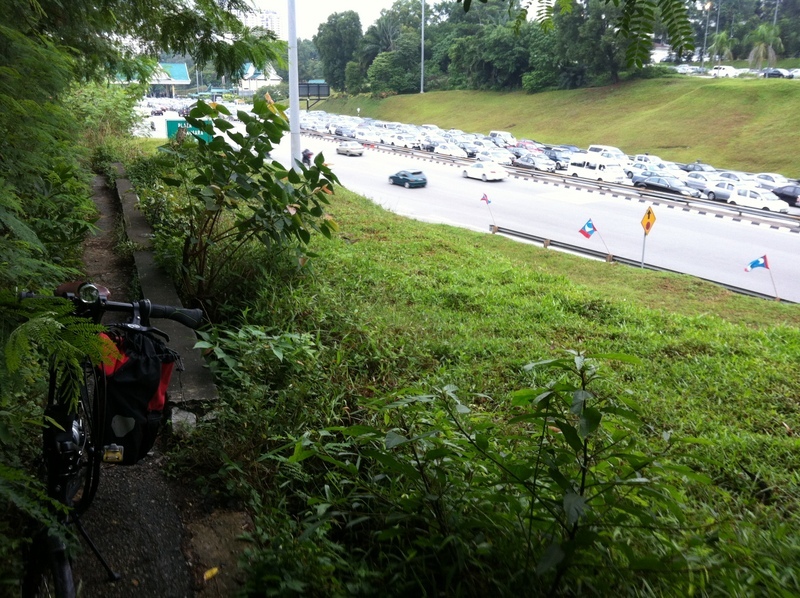 This is the Damansara Toll exit. 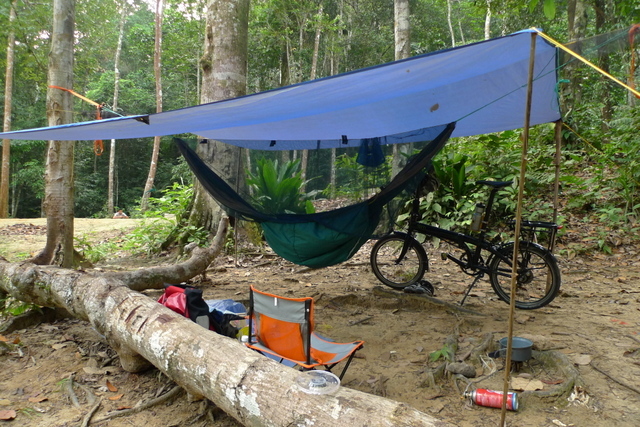 A couple of weeks ago, I took it out loaded with 2 panniers (including a camp chair) for the first time on an overnight bike-and-camp at Sg Sendat in Ulu Yam. 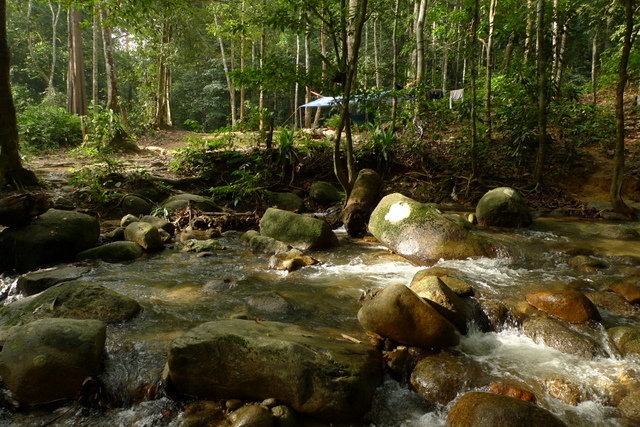 This is one of my favourite campsites; still very unspoilt with a pristine, crystal-clear river running through it, and a waterfall nearby. 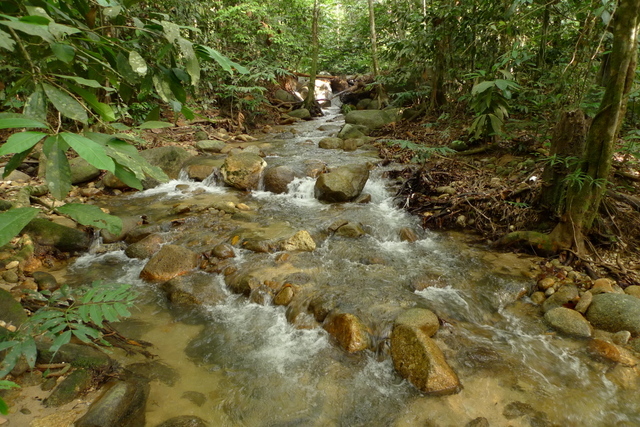 It’s also a favourite because it’s only an hour’s drive from home (or 3-4 hours by bike). 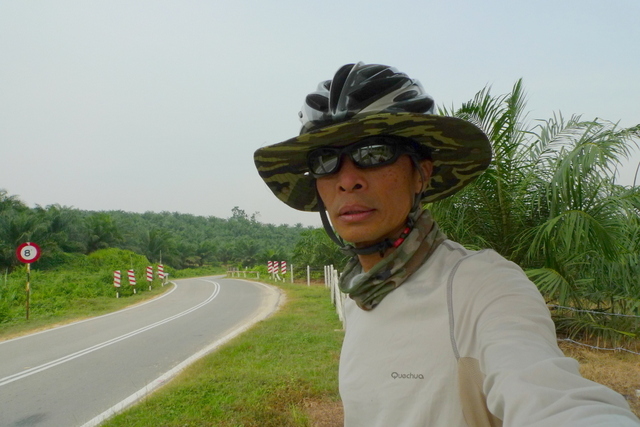 It was a great ride, even though the haze was just beginning to make its yearly presence felt. It was also very warm even with the sun shrouded behind the cloudy sky. 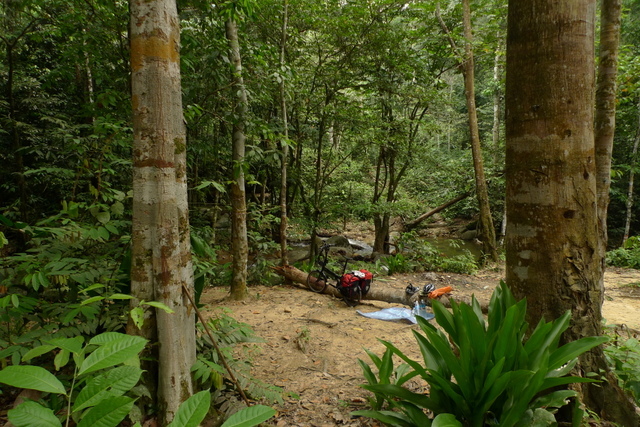 But the ride and the camping made it all worthwhile. 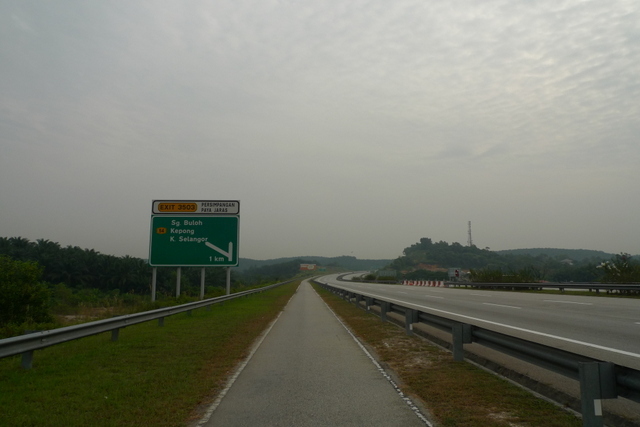 On the motorcycle lane of the GCE. A portent of hazy days to come. 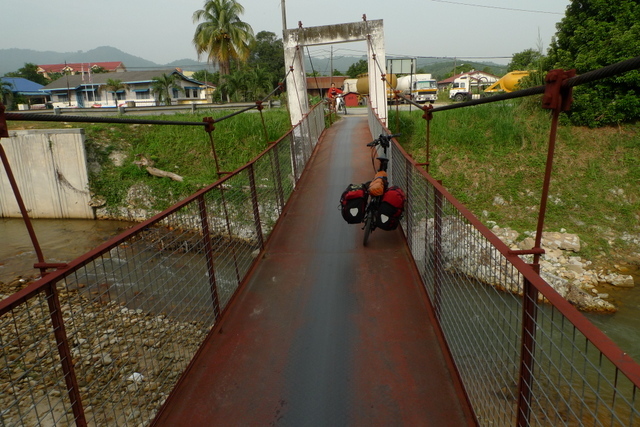 At the very end of the GCE, just before the toll gate going into the North/South highway, I took another shortcut down into the road that led to Kuang town, and from which I took the old road to Rawang. 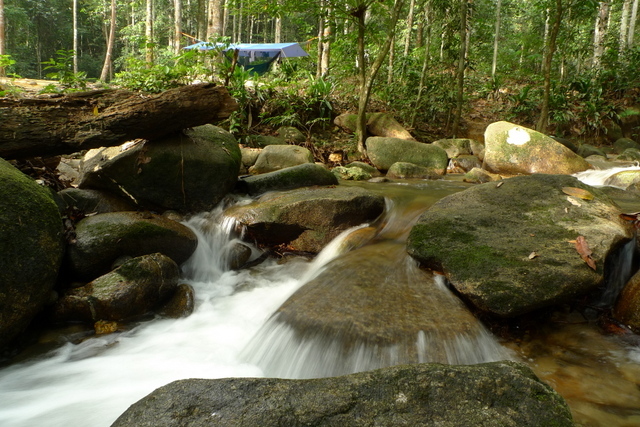 At noon, I reached Ulu Yam Baru and lunched at a warung where the food had just come out of the kitchen. 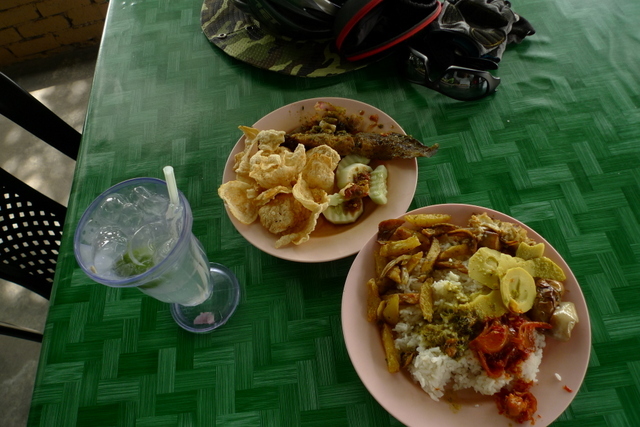 I had a bit of this and that — fried catfish, potato, bamboo shoots, sotong, rendang kerang and empeng, and a cold glass of fresh lime. 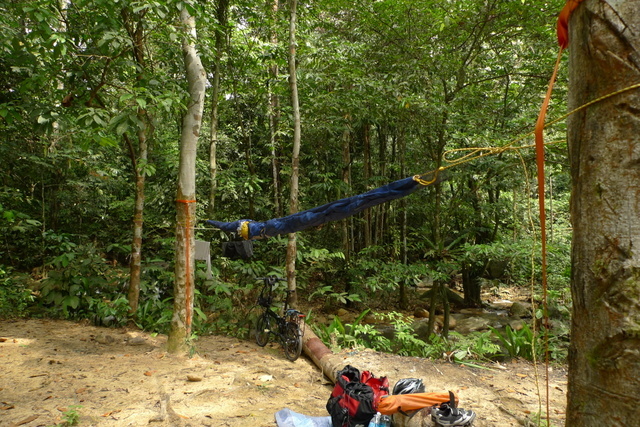 The campsite is just about 10 minutes ride from Ulu Yam town. Next, time for a swim. Finally managed to get this nicely self-timed shot.